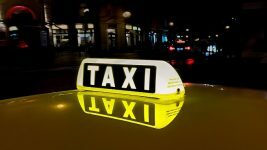 S7 Airlines has introduced a new service which allows to check-in and buy ancillary services at the airport quicker and easier than before. And it involves using actual airline staff. S7 Airlines staff are working in the flight check-in area for S7 Airlines flights at Domodedovo and Tolmachevo airports. Each of them uses with a mobile check-in device, which allows them to check-in passengers for a flight, book ancillary services, accept payment, issue an electronic receipt and a check, as well as to print a boarding pass. The smart devices used by the staff can read QR codes and barcodes on boarding passes. The staff also are equipped with a mobile printer and a card reader for non-cash payments. 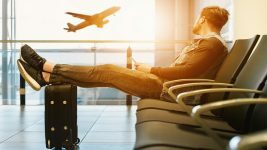 The service means that passengers without bags can quickly check-in for a flight, pay for extras like upgrades, and get a boarding pass without standing in a queue at the check-in counter. More than 10,000 passengers of S7 Airlines have used the service since testing began in October 2017. The service is in addition to online and desk check-in. 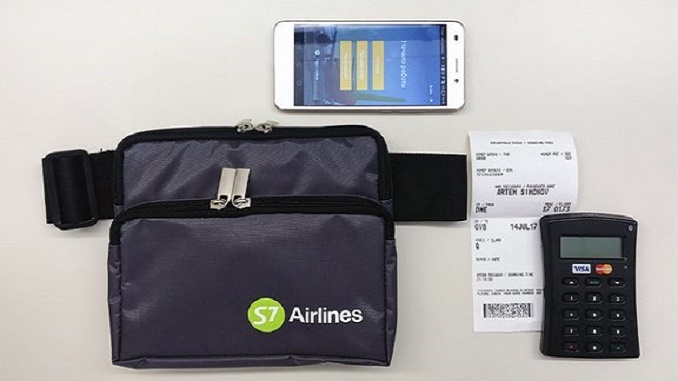 S7 Airlines also recently introduced home printed bag tags. S7 Airlines is a Russian airline with its main bases at Domodedovo International Airport and Tolmachevo Airport. It is Russia’s largest domestic airline. Routes: S7 Airlines has wide internal route network. It also operates regular flights to countries of the Commonwealth of Independent States (CIS), Europe, the Near East, Southeast Asia and countries of the Asia-Pacific region. Fleet: Currently S7 Airlines operates an all narrow body fleet of about 80 aircraft from Airbus, Boeing and Embraer. Passenger numbers: In 2016 S7 Group member airlines carried more than 13.1 million passengers.